Volkswagen urges you, in its latest commercial, to “Make your best friend smile with the spacious trunk of the Tiguan Allspace”. 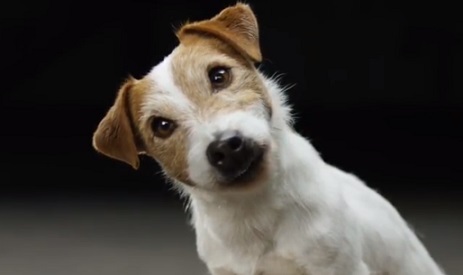 The 30-second spot features several dogs including a Boston Terrier, a Border Collie, and a Jack Russell Terrier, looking mesmerized and even with a hint of a smile on their face at the spacious trunk of the Tiguan Allspace, while in the background the 2017 single “Be Kind” by the LA-based soul band Soul Scratch, from their album “Pushing Fire”, is playing. With a longer wheelbase and room for up to 7 people, the new Tiguan Allspace is described as “bigger and better than ever before” and as “an adventure in itself” thanks to its superior handling characteristics and advanced safety and technology systems. A panoramic tilt/slide sunroof, embedded LED lights that emphasise individual elements such as door handles, decorative inlays and door sill trims, a touchscreen with optional, innovative navigation system Discover Pro with integrated gesture control, head-up display, Car-Net App-Connect, wireless smartphone charger, as well as a suite of assistance systems including Traffic Jam Assist, Lane Assist, Trailer Assist, Park Assist and Area View, are some of the available and optional features that make the Tiguan Allspace. This is not the first time the automaker tries to connect with its audience by using dogs in its advertising campaigns. In 2016, a commercial aimed at highlighting the spaciousness of the 2016 Volkswagen Tiguan S and Touareg, featured Boris the Husky demonstrating how roomy the Tiguan trunk is and a Mastiff, who came to prove the Touareg’s 64 cubic feet of cargo space. In another spot, created for the British market by London agency adam&eveDDB in 2013, for the brand’s #woofwagen campaign, Volkswagen associated different dog breeds with different Volkswagen models and showed over 15 kinds of dogs slobbering, running, and just enjoying life.